Stunning lake views greet you as you enter this newly redesigned and renovated cottage on Lake Muskoka. This open concept, 3 bedroom home has hardwood flooring throughout, a custom kitchen with granite counters and stainless steel appliances and updated bathrooms. There is an additional bedroom in the Bunkie that is attached to the single car garage. 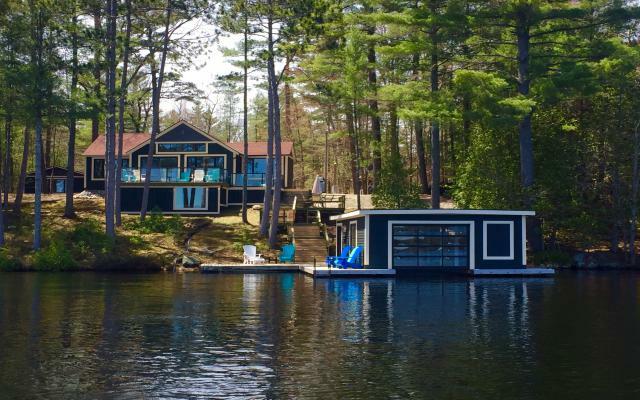 The waterfront has a single slip boathouse with lift and a dock to enjoy the lake. This complete package comes fully furnished with brand new furniture, ready for you to move in and enjoy the Muskoka lifestyle.